This week we will be be highlighting Sean (Shaggy) Donohue. Shaggy is a 29 year old who has been a Brantford Firefighter for the past 10 years. He's also a proud father of a little 1 year old black lab named Nessie. Other than crossfit he loves playing volleyball year round and baseball during the summer. He's also actively involved in the Brantford community helping out at community events. CrossFit Durst- Hey Shaggy! Thank you for giving us your time! So you've been doing CrossFit for 9 years now. What is it that you love about CrossFit that keeps you coming back? Sean (Shaggy) Donohue- The community is huge for me, everyone knows how to have good time but can also flip that switch and give it their all when it’s time to work. Everyone is supportive of each other and will continue to support you even if you are one of the last ones to finish. I also love that every workout is laid out for you, you are told what to do and that’s what you do. There's no backing out of reps or sets, you go to the gym, do your work and go home. CD- That balance between having fun and working hard is so important! What is the biggest change you’ve seen in yourself in the past 9 years of CrossFit? SD- The biggest change I have noticed is my mental state, when I attend crossfit on a regular basis I find my will power to accomplish daily goals improves. I would find myself cutting reps, shortening workouts when I attended Non-Crossfit gyms, that changed completely when I started to attend Crossfit classes. CD- That's a really cool change! It's not only changing your fitness level but changing your home life! What are your next CrossFit goals? SD- I really want to do handstand walks for more than a foot…. CD- You'll get there! Those gymnastic moves are tough! What would your favourite workout look like? SD- I would have to say any WOD’s that include Wall Balls, Double Unders or any type of Clean. I am a big fan of the high intensity workouts were you have to complete so many reps/rounds for time. CD- Haha those are the best! You know you only have to endure for so long and its over! 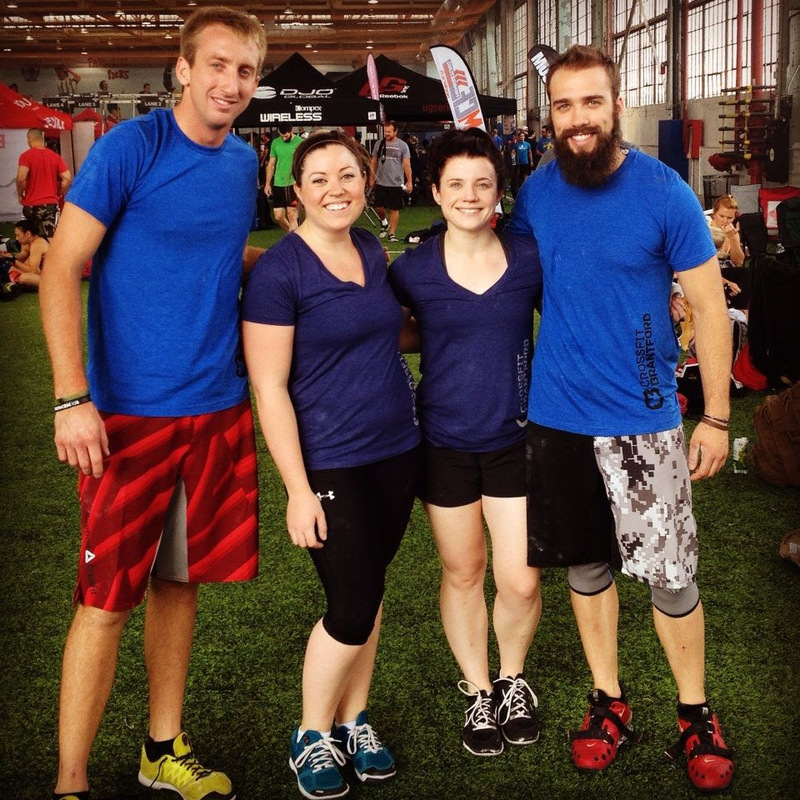 Can you speak a little bit about the CrossFit Durst community? SD- I think it comes down to the coaches and the members. Durst has great coaches that will go the extra mile to make sure your workout is “enjoyable”. Without getting into it too much, every member at Durst brings something positive to the table to make the overall experience enjoyable. CD- It's always great to hear amazing things like that about Durst. What would you say to someone who is thinking about getting into CrossFit? SD- Step out of your comfort zone and take the plunge, yes crossfit can seem intimidating from an outside perspective but what do you have to lose? You either sign-up and find out you love crossfit and make new friends along the way or you find out you don’t enjoy it. at least you gave it a chance! CrossFit Durst- Thank you so much Sean, for taking the time to answer our questions! Keep up the great work and enjoy crushing your new goals!! Newer PostDid you hear the news? !